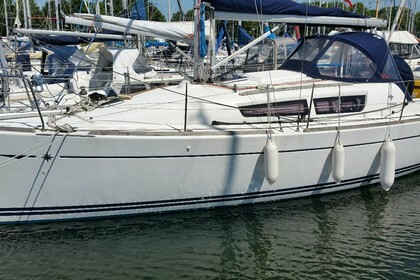 This Jeanneau Sun Odyssey 30i Performance is really well equiped. It only has 200 engine hours. It has a lot of navigation instruments (plotter, auto pilot) and steering wheel instead of a bar. The galley has a gas stove, sink, fridge and a lot of storage space. Perfomance edition has a longer keel and a higher mast. This will give you a faster and responsive boat. Contact us for more information.